Home Internet IOS Technology Now Add Shot On Watermark to your iPhone Photos as Well! Now Add Shot On Watermark to your iPhone Photos as Well! The graph of Shot On watermarks are increasing to its great peak since the trend started by different Android mobile brands like Oneplus, Mi etc. This was done to enhance their marketing campaign of the dual camera functionality offering. But as it was so much in trend, it became fascinating for each of the user to have them to all their photographs as well. And guess what? Some of those are iPhone users too. So are you the one among those users? If yes, then you might be definitely looking for quick fix solution to get your desired watermark to photos within fraction of seconds, right? We’ve got an accurate key- iShot On Watermark Stamper to your query! An iOS application which can auto add your desired shot on watermark to photos within few clicks and ticks! With iShot On Watermark Stamper you can not only add a single Shot On Watermark to Photos but even capture by and ShotOn Watermark as well. Uses your pre-captured Gallery Photos. 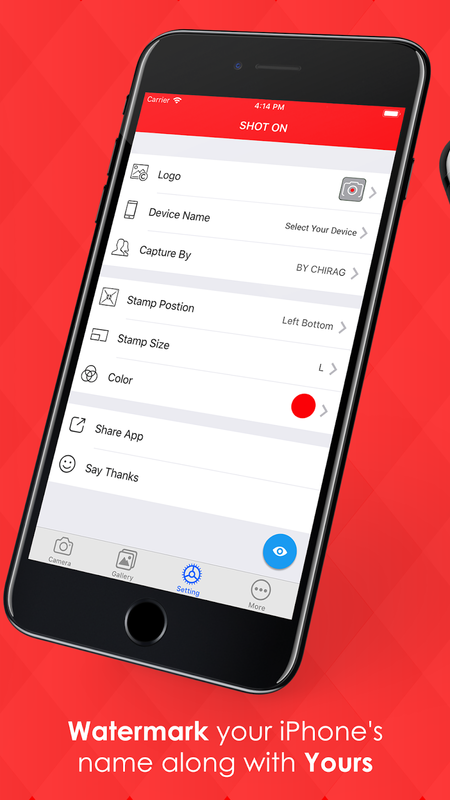 Adds stamps as you click pictures instantly. Checkout the steps mentioned below to make up your work much easier! Device Model - Device Name can be easily choose and added within fraction of seconds and also you can add your own if not found in the list. Logo Watermark - Choose logo watermark from the offered default list or import your own watermark logo as you require. Signature Stamp- Add and write your own Signature Capture by tag as per your wish. Get your shot on tag labelled without affecting your current image by choosing position as your requirement. Watermarking your images as per your own image size and requirement so give your photograph an elegant look. You can customize stamping color as per your wish to compliment your photo. Wondering how your image will look after choosing your preferred settings? No worries, the application has even sorted out for you. You can preview your stamp before adding it permanently. 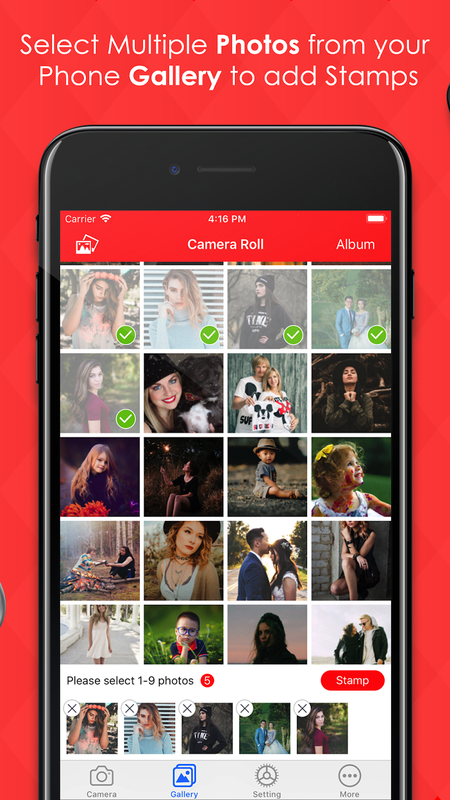 Choose Photo From your Gallery or Click Instant Photos! And your Stamp is Added Successfully! If you are someone looking to get your photos watermarked differently with cluster of shot On tags then there ain’t a better application than iShot On Watermark as you are getting 3-in-1 Shot On Stamping options within single download.